The Chihuahua is one of the most loyal toy breeds. It develops a strong bond to an individual owner, which makes it highly desirable for a house pet. Because of its devotion, it can be hesitant with people it does not know, but does get along well with other dogs and animals. On occasion, the Chihuahua may have protective instincts, but due to its small size it is not very intimidating. One Chihuahua may be brave, while another one of the same breed may be shy. This breed can be moody at times as well and some have a tendency to bark. The Chihuahua is a high-energy dog that can achieve its exercise needs by running around indoors due to its small stature. It does enjoy the opportunity to run in the yard and taking a walk on a leash with its owner. The Chihuahua cannot live outside, as it does not do well in cold weather and searches for warmth. The maintenance of the coat is minimal with the long coat needing brushed only a few times per week. There are several minor health concerns for the Chihuahua which include pulmonic stenosis, hydrocephalus, patellar luxation, KCS, and hypoglycemia. To keep this breed healthy, regular testing of the cardiac system and knees is suggested. A molera in the skull is common in the Chihuahua and not necessarily a cause for concern. The average life span of the Chihuahua is 14 to 18 years. The history of the Chihuahua is not without controversy and several theories. There is one theory that asserts the Chihuahua arrived in the New World by Spanish Traders from China and it was then crossed with local dogs. Another theory suggests that these dogs came from Central and South America from the Techichi. The techichi is a tiny and quiet breed that has a history of being sacrificed during the religious rituals of the Toltec since the dog was red and it was thought that they had the ability to lead the soul during the afterlife. All Aztec families had a dog such as this that was laid to rest with family members that passed away. The Techichi was also consumed as food by the Toltecs and Aztecs as well. Despite these actions that may have cut the lives of many of these dogs short, while they were alive many of them were cared for by priests or their families. The most likely derivation of the Chihuahua was a cross between all of these theories. They may have crossed the Techichi with small Chinese dogs when the Chinese dogs arrived from a land bridge that was constructed across the Bering Strait or when Spanish traders brought them over. In the sixteenth century, Cortes defeated the Aztecs which left these tiny dogs deserted. 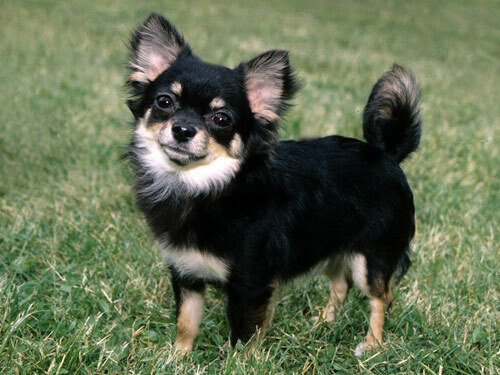 Many years later around 1850, there were three small dogs that were found in a location known as Chihuahua, Mexico. A small amount arrived in the United States but did not gain significant attention until Xavier Cugat, also known as the rhumba king, was seen constantly in public with his Chihuahua. The Chihuahua captured the hearts of the public shortly after and has continued to rise in popularity to one of America’s favorites.